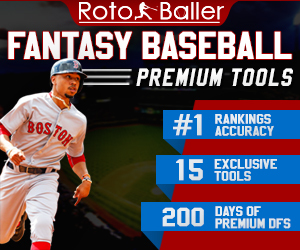 At RotoBaller, we can't stress enough the importance of keeping up with injuries and playing your best lineup week after week. Players are going to get injured, that's an unavoidable fact. What's avoidable though is making the wrong roster decisions based on the injuries surrounding your fantasy squad. 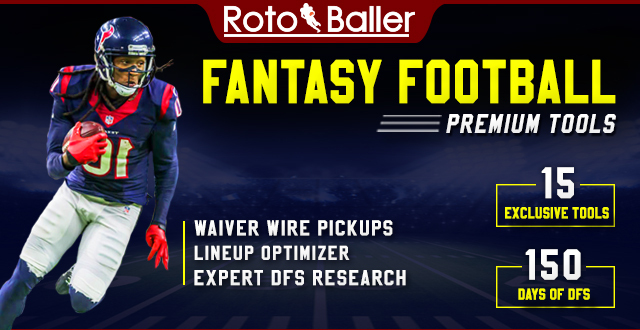 If you want to dominate your leagues and win some dough in daily contests, you have to be proactive with injury research. That's where I come in to serve you guys, the readers! I'm Aaron Burger, a third-year Doctor of Physical Therapy student, graduating in May. 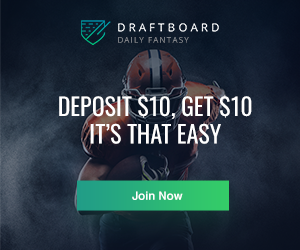 About a year ago, I decided to combine my love, fantasy football, with what I've been learning for three years now, injuries and the human body. 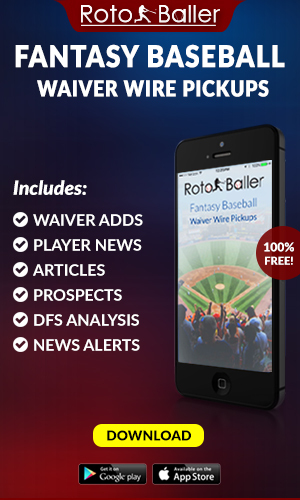 Each week, I'll be checking in on fantasy's biggest injuries to keep you informed. 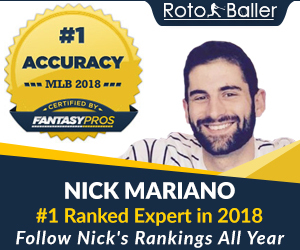 Be sure you also have RotoBaller bookmarked and follow us on social media to catch all the latest breaking NFL news and updates. Fournette finally returned in Week 10 and he was able to amass over 100 total yards from scrimmage. He toted the rock 24 times for 53 yards (2.2 yards/carry) and a touchdown and also caught five passes for 56 yards and another touchdown. Fournette's YPC is concerning but if he is getting this workload then he can likely be trusted as an RB1 as long as he can stay healthy. Michel rushed for 31 yards on 11 carries in his return from an MCL sprain. He will now have the Week 11 bye to recover further from this sprain and hopefully, the Patriots will find more ways to get this rookie the ball even when they are behind. The Patriots typically heat up as the season progresses so they will likely be in more positive game scripts following their bye. Michel could be very valuable down the stretch. Thompson has been ruled out for Week 11's game against the Texans. He's dealing with a rib injury which could either involve the bone itself or the cartilage that attaches it to the sternum. Kapri Bibbs figures to handle passing down work while the ageless Adrian Peterson will run between the tackles against a tough Houston defense. Freeman is set to return in Week 11 after dealing with a high-ankle sprain. Phillip Lindsay will likely have to move over and give some touches to the rookie out of Oregon which hurts Lindsay's fantasy value. The Broncos have two, great young backs and it makes sense for them to keep both of them fresh and split carries. Bernard rushed two times for six yards and reeled in two of his three targets for 30 yards in Week 10. He was dealing with an MCL sprain and this was his first game in about a month. This backfield is Joe Mixon's and Bernard really has no role in the Bengals' offense. Green is listed as doubtful for Sunday's game against the Ravens. It was initially thought that Green would miss multiple weeks (and he still may) but this is surprising news. He saw a foot specialist and thankfully avoided surgery at this time for his swollen toe. Green did not practice at all this week so he will likely be out in Week 11 against the Ravens. Keke, do you love me? Coutee is eyeing a Week 11 return from a hamstring strain and according to HC Bill O'Brien is a game-time decision. With Demaryius Thomas on the outside, Coutee will likely assume his role as Houston's slot receiver if he is able to suit up this week. I would suggest keeping him on your bench until his role is defined with Thomas in the mix. Injury: The Steelers were throttling the Panthers when the second-year back out of Pittsburgh was declared out with a concussion. A concussion is the result of a blow to the head. Chemical changes in the brain cause the typical signs and symptoms of a concussion including headaches, nausea, sensitivity to light, dizziness, and confusion. News: Conner was able to practice on Wednesday so his Week 11 status was never really in question. He turned in full practices on Thursday and Friday as well so he is all systems go for Week 11 against a Jaguars defense that is not as stout as last season. Outlook: Conner is an RB1 the rest of the way and the Steelers offense is red hot right now. He continues to rack up not only rushing attempts but targets in the high volume offense. The Steelers also like using him once they get close so he always has the opportunity to put one in the end zone. Injury: Kupp tore his left ACL in Week 10's game against the Seahawks. He attempted to cut and was then on the ground from the non-contact injury. The ACL, or anterior cruciate ligament, attaches the femur to the tibia and provides stability to the knee. News: There was concern following the game that Kupp tore his ACL and this was confirmed on Monday. HC Sean McVay told reporters following the game that "it doesn't look good." Outlook: With Kupp out, expect Robert Woods to see more work from the slot and Josh Reynolds to move to the outside. Reynolds didn't see heavy volume when Kupp missed time earlier in the year with a sprained MCL but he did catch two touchdowns. Woods' value doesn't necessarily change as he has been the definition of consistency this year, even when Kupp was sidelined previously. Injury: Jones is dealing with a bone bruise in his right knee. Thankfully, he avoided any ligament damage but when ligaments are stretched but do not sprain or rupture, the area where they attach to bone can become bruised from the pulling or twisting force. These injuries are often incredibly painful for athletes in the days following the initial injury. News: It was reported that Jones will indeed miss Week 11 after he was not able to practice at all this week. MRI revealed that Jones avoided any damage to his ACL or MCL. Outlook: Depending on the severity and how his pain is controlled, Jones could realistically miss next week's game as well. With Jones out, Kenny Golladay will be a busy man on Sunday and could easily see double-digit targets. Theo Riddick should be busy running underneath routes, acting as an extension to the running game. Give me a follow on Twitter at @FFAchesAilments - Check back next week and all season for insight regarding fantasy's biggest injuries!